Gov. 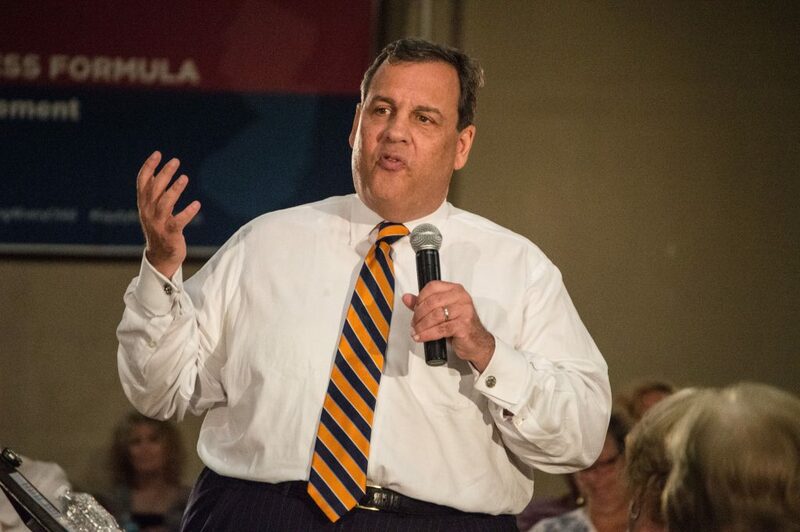 Chris Christie did not mince words during a visit to Ocean County on Thursday: high property taxes driven by a lack of school funding are pricing residents out of New Jersey’s suburban communities. The action, which was filed with the state Supreme Court on Thursday, reopens the Abbott v. Burke case which established the current funding formula, under which 31 urban school districts receive the lion’s share of the $9.4 billion New Jersey spends on education each year, leaving the remaining 546 school districts to divide up what remains. The legal action does not specifically target the formula, but instead challenges practices required under state statutes and union contracts, including the “last-in, first-out” philosophy, under which layoffs of teachers are determined by the length of the employee’s service to a district. Also targeted, Christie said, are contractual clauses such as one in Camden which states that a teacher can only be required to perform instruction for four-and-a-half hours of a seven hour workday. Christie said the three decades-long practice of sending billions of dollars in state aid to the poor, urban districts have given rise to the state’s highest-in-the-nation property taxes – since local taxpayers in suburban districts have to make up for a lack of state aid – without producing positive results in the districts the extra funding is intended to help. Graduation rates in many of the former Abbott districts are in the range of 60 percent, he said, and 27 of the 31 districts are below state average. 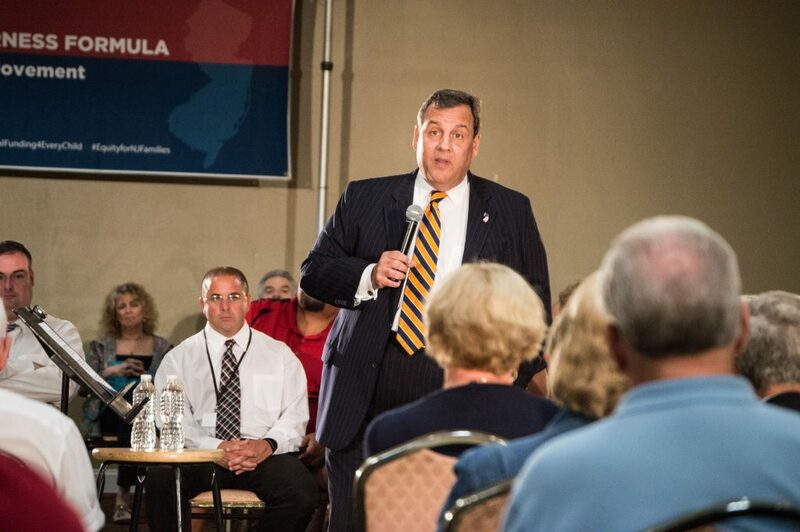 “It says that this experiment has failed,” Christie said of the graduation rates. “I’ve decided today that I’m not going to just sit on the sidelines and have these forums. In the Brick Township school district, equal funding would amount to $28.1 million in property tax relief, state figures show. But while districts such as Brick would benefit from additional state aid, critics charge that urban districts would suffer if they were to lose the billions in state aid which they currently receive. Christie brushed off such criticism, instead blaming a “tragic” system for the failure of urban districts to perform. The governor argued his plan would benefit both urban and suburban students. Christie took questions from the audience, further discussing the plan and taking a moment to spar with a retired teacher who said she believes Christie should have tempered his remarks by touting the state’s high national rankings for education, which are at or near the best in the United States. The New Jersey Education Association, the union which represents the bulk of the state’s teachers, expectedly came out against Christie’s proposals. Steinhauser predicted efforts to reform the funding formula would fail. Supporters of the plan have said that equalizing school funding could help prevent teacher layoffs and stave off benefits give-backs in suburban districts. Many Ocean County districts, including Brick, Toms River and Lacey townships, laid off teachers before the 2016-17 school year began, citing concerns over funding and rising tax rates. “I am the worst thing that has ever happened to the teachers union in this state because for the first time, someone is telling the truth,” Christie said, to applause.